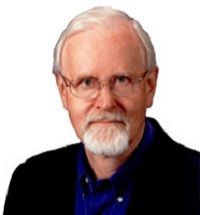 Per Pinstrup-Andersen, currently Professor Emeritus and Professor of the Graduate School, was most recently the H. E. Babcock Professor of Food, Nutrition and Public Policy, the J. Thomas Clark Professor of Entrepreneurship, and Professor of Applied Economics at Cornell University and Adjunct Professor, Copenhagen University. He is past Chairman of the Science Council of the Consultative Group on International Agricultural Research (CGIAR) and Past President of the American Agricultural Economics Association (AAEA). He has a B.S. from the Danish Agricultural University, a M.S. and Ph.D. from Oklahoma State University and honorary doctoral degrees from universities in the United States, United Kingdom, Netherlands, Switzerland, and India. He is a fellow of the American Association for the Advancement of Science (AAAS) and the American Agricultural Economics Association. He served 10 years as the International Food Policy Research Institute’s Director General and seven years as department head; seven years as an economist at the International Center for Tropical Agriculture, Colombia; and six years as a distinguished professor at Wageningen University. He is the 2001 World Food Prize Laureate and the recipient of several awards for his teaching, research and communication. His recent publications include “The African Food System and its Interaction with Human Health and Nutrition” (Cornell University Press 2010) and “Food Policy for Developing Countries” (Cornell University Press 2011) coauthored with Derrill Watson. He recently edited a book entitled "Food Price Policy in an Era of Market Instability: A Political Economy Analysis," which will be published by Oxford University Press. The food system and its interaction with human health and nutrition; food and nutrition policy research; analyses of the impact of globalization on poverty, hunger and malnutrition in developing countries; ethical aspects of food policy; the political economy of food prices; and agricultural research and technology policy. Christophe B., Pinstrup-Andersen, P. et al. (Forthcoming). Feeding 9 Billion by 2050 – Putting Fish Back on the Menu. Food Security. Pinstrup-Andersen, P. and Watson, D.D. II (Forthcoming). The Food System and Sustainable Natural Resource Management. In G. Mavrotas (Ed. ), Natural Resources and Development: Curse or Blessing. Cheltenham, UK: Edward Elgar Publishing Ltd.
Pinstrup-Andersen, P., Ed. (2015.) Food Price Policy in an Era of Market Instability: A Political Economy Analysis. London: Oxford University Press. Pinstrup-Andersen, P. (2015). The Political Economy of Food Price Policy: An Overview (Chapter 1). In P. Pinstrup-Andersen, Ed., Food Price Policy in an Era of Market Instability: A Political Economy Analysis. London: Oxford University Press. Pinstrup-Andersen, P. (2015). The Political Economy of Food Price Policy: Key Policy-Related Lessons (Chapter 22). In P. Pinstrup-Andersen, Ed., Food Price Policy in an Era of Market Instability: A Political Economy Analysis. London: Oxford University Press. Per Pinstrup-Andersen (2014). Making Food Systems Nutrition-Sensitive: An Economic Policy Perspective. World Food Policy 1(1). Per Pinstrup-Andersen (2014).Food Systems and Human Health and Nutrition: An Economic Policy Perspective with a Focus on Africa. In: Walter Falcon and Rosemond Naylor (eds.) Frontiers in Food Policy. Center on Food Security and the Environment, Stanford University. Per Pinstrup-Andersen (2014). Food Systems and Human Nutrition: Relationships and Policy Interventions (Chapter 2). In Brian Thompson and Leslie Amoroso (eds.) Improving Diets and Nutrition. London: CABI. Pinstrup-Andersen, P. (2013). Can Agriculture Meet Future Nutrition Challenges? Special Debate Section. European Journal of Development Research 25(1): 5-12. Pinstrup-Andersen, P. (2012). Guiding Food System Policies for Better Nutrition. Background Paper for 2013 State of Food and Agriculture (SOFA) Report. Rome: FAO. Pinstrup-Andersen, P. (2012). Food Systems and Human Health and Nutrition: An Economic Policy Perspective with a Focus on Africa. Center on Food Security and the Environment, Stanford Symposium Series on Global Food Policy and Food Security in the 21st Century, October 11, 2012, University of Stanford, California. Pinstrup-Andersen, P. (2012). The Food System and its Interaction with Human Health and Nutrition. In S. Fan, & R. Pandya-Lorch (Eds. ), Reshaping Agriculture for Nutrition and Health, Chapter 3. Washington, DC: International Food Policy Research Institute. Pinstrup-Andersen, P. (2012). Africa knows what is needed for food security. Business Daily, September 6. Herforth, A., Jones, A., & Pinstrup-Andersen, P. (2012). Prioritizing Nutrition in Agriculture and Rural Development: Guiding Principles for Operational Investments. HNP Discussion Paper Series. World Bank, Washington, DC. Jones A.D., Agudo Y.C., Galway L., Bentley J., and Pinstrup-Andersen P. (2012). Heavy agricultural workloads and low crop diversity are strong barriers to improving child feeding practices in the Bolivian Andes. Social Science & Medicine 75(9): 1673-1684. Pinstrup-Andersen, P. (2012). Contemporary Food Policy Challenges and Opportunities: A Political Economy Perspective. AARES 56th Annual Conference, Fremantle, Australia. Ouyang, Y., & Pinstrup-Andersen, P. (2012). Health Inequality between Ethnic Minority and Han Populations in China. World Development, 40(7): 1452-1468. Pinstrup-Andersen, P. and Watson, D. (2011). Food Policy in Developing Countries: The Role of Government in Global, National, and Local Food Systems. Ithaca, NY: Cornell University Press. Pinstrup-Andersen, P. (Ed.). (2010). The African Food System and its Interaction with Human Health and Nutrition. Ithaca, NY: Cornell University Press. Robertson, B. and P. Pinstrup-Andersen. (2010). Global Land Acquisition: Neo-Colonialism Or Development Opportunity? Food Security, 2: 271-283. Babu, S., & Pinstrup-Andersen, P. (2009). Social Innovation and Entrepreneurship: Developing Capacity to Reduce Poverty and Hunger. In J. vonBraun, R. Hill & R. and Pandya-Lorch (Eds. ), The Poorest and Hungry: Assessments, Analyses, and Actions, pp. 541-548. Washington, DC: IFPRI. Pinstrup-Andersen, P. (2009). Food Security: Definition and Measurement. Food Security, 1:5-7. Pinstrup-Andersen, P., and Cheng, F. (Ed.). (2009).Case Studies in Food Policy for Developing Countries, Volumes 1, 2, and 3. Ithaca, NY: Cornell University Press. Shimokawa, S., Chang, H., and Pinstrup-Andersen, P. (2009). Understanding the Difference in Obesity among Working Adults between Taiwan and China. Asia Pacific Journal of Clinical Nutrition. Bach, C. F., and Pinstrup-Andersen, P. (2008). Agriculture, Growth and Employment in Africa: Need for Institutions, Infrastructure, Information, Innovation, Investments, and Integration. Discussion Paper #2 for the Civil Society Input to the Africa Commission on Effective Development Cooperative with Africa, DanChurchAid.
. The Lancet, 371(9611), 510-526. Pinstrup-Andersen, P., & Herforth, A. (2008). Food Security: Achieving the Potential. Environment, 50(5): 48-61. Pinstrup-Andersen, P., & Shimokawa, S. (2008). Do Poverty and Poor Health and Nutrition Increase the Risk of Armed Conflict Onset? Food Policy, 33, 513-520. Wang, S., Just, D. R., & Pinstrup-Andersen, P. (2008). Bt Cotton and Secondary Pests. International Journal of Biotechnology, 10(2/3), 113-121. Pinstrup-Andersen, P. & Cheng, F. (2007). Still Hungry. Scientific American, 297(3), 96-103. Pinstrup-Andersen, P., & Sandøe, P. (Eds.). (2007). Ethics, Hunger and Globalization – In Search of Appropriate Policies. Dordrecht: Springer. Koning, N. & Pinstrup-Andersen, P. (2007). Agricultural Trade Liberalization and the Least Developed Countries. Wageningen: Springer. Pinstrup-Andersen, P. & Shimokawa, S. (2007). Rural Infrastructure and Agricultural Development. In F. Bourguignon & B. Pleskovic (Eds. ), Annual World Bank Conference on Development Economics – Global 2007: Rethinking Infrastructure for Development (pp. 175-203). Washington, D.C.: The World Bank. Wang, S., Just, D.R., & Pinstrup-Andersen, P. (2006). Damage from Secondary Pests and the Need for Refuge in China. In J. Alston, R.E. Just, & D. Zilberman, D. (Eds. ), Regulating Agricultural Biotechnology: Economics and Policy. New York: Springer. Pinstrup-Andersen, P. (2006). Focus the Global Food System on Health and Nutrition Goals. International Journal of Agricultural Sustainability, 4(1), 2-4. Pinstrup-Andersen, P. (2005). Ethics and Economic Policy for the Food System. American Journal of Agricultural Economics, 87(5), 1097-1112. Pinstrup-Andersen, P. (2002). Food and Agricultural Policy for a Globalizing World: Preparing for the Future. American Journal of Agricultural Economics, 84(5), 1201-1214. Pinstrup-Andersen, P. & Schiøler, E. (2000). Seeds of Contention: World Hunger and the Global Controversy over GM Crops. Baltimore: Johns Hopkins University Press. International Professor of Nutrition Economics and Policy, College of Agriculture and Life Sciences, Cornell University. July 1, 2006 - May 31, 2013, J. Thomas Clark Professor of Entrepreneurship in the Entrepreneurship@Cornell Program. January 31, 2003 - May 31, 2013, H.E. Babcock Professor of Food, Nutrition and Public Policy in the Division of Nutritional Sciences, Cornell University. April 21, 2003 - May 31, 2013, International Professor of Nutrition Economics and Policy at the College of Agriculture and Life Sciences, Cornell University. June 13, 2003 - May 31, 2013, Professor of Applied Economics, Department of Applied Economics and Management, Cornell University. June 1, 2013 - Present, Professor Emeritus and Graduate School Professor, Cornell University. Food Policy for Developing Countries Web Site– The Role of Government in Global, National, and Local Food System, http://cip.cornell.edu/gfs. This program aims to strengthen university training in policy analysis for the food systems, with emphasis on developing countries, using a social entrepreneurship approach. This website includes a large number of cases, which can be downloaded free of charge by instructors, students and other interested parties worldwide. New case studies continue to be added on a regular basis.